Getting sick is part of life. Without it, you will never feel normal and human. It is good if you have an illness that can be treated with a simple tablet or capsule but what if you have something serious to endure? You will wish that you have a healthcare system that can increase your chances of making it alive. Worry no more because while you are in Singapore, experts and professionals will increase your chances of surviving. There are two types of hospitals you can choose-government and private. Government hospitals include National University Hospital, NHG Polyclinics, The Eye Institute, The Heart Institute, Changi General Hospital, Singapore General Hospital, etc. Private hospitals include Mount Elizabeth Hospital, Raffles Hospital, Camden Medical Centre, Thomson Medical Centre and John’s Hopkins Singapore International Medical Centre. Facilities include hospital beds, room accommodation, up to date equipments, modern laboratories, private clinics and many more. For government hospitals, good healthcare is provided especially for the masses. 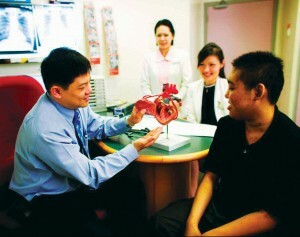 Private healthcare on the other hand offers better services so there are Singaporeans and expats who prefer to go there. Citizens and permanent residents are given subsidy by the government. Subsidies will go from 50% to 80% depending on the case or factor. For non citizens or foreigners, subsidies are not applicable. You can go without health insurance because healthcare services in Singapore are affordable but if you want to be safe, you can always get a health insurance policy. You should first ask your employer if you have insurance. If not, you can consider Allianz, Aviva, Great Eastern and Prudential. Don’t worry, these health insurance companies are well established in Singapore.